1. Spend at least as much effort to find your lawyer as you would to find a barber. If you moved to a new city, you would probably ask around before you chose a barber (or a hairdresser). At the very least, you might talk to somebody who had gotten good results. And your hair will grow back in a few weeks. Hiring a lawyer is a whole different story. If your problem is a criminal charge, then the result is something that you'll be living with for years to come. Do your homework. The Yellow Pages is only a starting point. Talk to someone who has actually had to hire a DUI lawyer. Or go to a lawyer who practices some other specialty, and ask him (or her) who is the best DUI lawyer in town. 2. If you want to find a shark, look in the water. If you need a trial lawyer, go to the courthouse. Ask the people who work there: deputies, bailiffs, court reporters. They see lots of lawyers, and they know who is good and who is not. They may give you a few names. Often, court employees will tell you that they aren't supposed to make recommendations, but be persistent. If you strike up a conversation and make a friend, you are likely to at least find out who to avoid. It may be hard to believe, but most lawyers never try a case in their entire careers. When you talk to lawyers, ask them how many trials they have had. Get details. Civil or criminal? Jury trials or judge trials? Wins or losses? How many in the last year? In the last month? You wouldn't want to have your appendix taken out by a doctor who had never operated before. Many general practice criminal lawyers won't try DUI cases, but instead try to negotiate a guilty plea on every case. 4. Don't hire a general practitioner to do a specialized job. Some types of cases don't demand specialized knowledge. Certain types, such as DUI cases, do. More than any type of criminal case, except perhaps homicides, DUI cases involve detailed scientific evidence. A complete defense requires command of principles of chemistry, biology and physics, and familiarity with hundreds of scientific studies. Ask your prospective lawyer if he has training in breath testing or the field sobriety tests. Don't be penny-wise and pound foolish. If it's worth hiring a lawyer at all, then it's worth hiring the best lawyer you can afford. 5. Learn some of the Lingo. Because DUI is one of the most technically-challenging areas of criminal defense, it is helpful for you to know whether your chosen lawyer knows his (or her) stuff. A few questions may help you judge whether the lawyer you are interviewing knows the science well enough to spot all of the critical issues in your case. a. What is the "Partition Ratio?" Any lawyer handling a DUI case should know that the "Partition Ratio" is the conversion factor between the concentration of alcohol in human blood and the concentration in human breath. In the U.S., the partition ratio is presumed to be 2,100 to 1. Every competent DUI lawyer should know what the "partition ratio" is, and what the authorities (rather arbitrarily) presume it to be. b. What is "optikinetic nystagmus?" When the police administer the Standardized Field Sobriety Tests to a suspect, one of the things they are looking for is "nystagmus," or a jerking of the eyeballs when they track side-to-side. Nystagmus can be caused by alcohol. However, when the police administer the tests in the presence of strobe lights or flashing or rotating lights, or passing traffic, those lights can create the very jerkiness that the police are trying to observe. The jerkiness caused by doing the Field Sobriety Tests with flashing lights or passing traffic within view is called "optikinetic nystagmus." Any competent DUI lawyer should be well-versed in this phenomenon, or should at least know what it is. c. What is the "Lambert-Beer" Law? The Intoxilyzer 8000 operates by shining an infrared light through a sample chamber filled with the subject's breath. The "Lambert-Beer Law" states that when there is alcohol in the chamber, it will absorb a fixed portion of the light passing through. It operates like a car's headlights, which will be partially-obscured on a foggy night. The Lambert-Beer Law is the theoretical basis of all infrared breath testing, and if your lawyer doesn't know what it is, then he shouldn't be your lawyer. 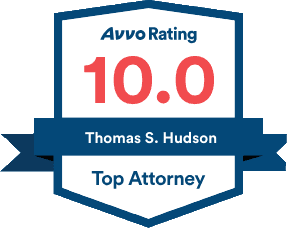 Tom Hudson is a Board-Certified Specialist in DUI Defense. 6. Ask how much commitment the lawyer has to DUI defense law. 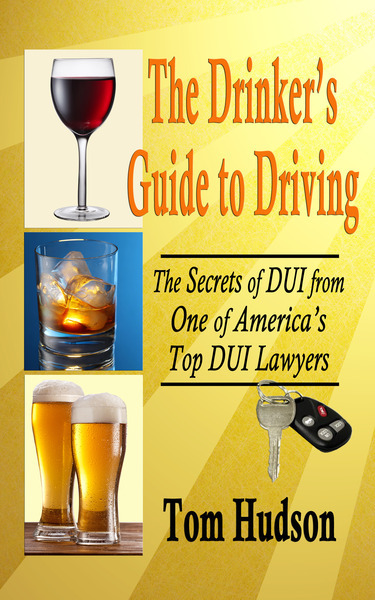 There are few areas of the law more complex than DUI defense. Nearly every DUI case involves scientific evidence--from gas chromatography to infrared spectrometry, from biochemistry to accident reconstruction. There are hundreds of scientific studies which establish that some investigative strategies that work, and others that are simply junk science. If your lawyer hasn't read those studies, he or she won't know how to attack bad science.Tom Hudson is nationally Board-Certified in DUI Defense Law. That means that he has focussed his criminal practice on DUI defense, and has undergone exhaustive testing on his knowledge of the intricacies of DUI investigation. He is certified as an Instructor in DUI Investigation by the National Highway Traffic Safety Administration, and has been trained as a Breath Test Operator under Florida law. 7. Understand the limitations of any lawyer. You are hiring a lawyer, not a magician. Beware of false promises. Any lawyer that tells you that a case is a "lock" is simply not trustworthy. Sad to say, an unscrupulous lawyer can make worthless guarantees with the knowledge that, if things go wrong, then the client will not be in a position to do much about it. If a lawyer tells you that a case is a slam dunk, do one thing: Ask him to put his guarantee in writing. A conscientious and competent lawyer will tell you the truth. No one can guarantee a particular outcome. What questions should you ask when interviewing a DUI lawyer? Click here for a great article discussing the subject. At the Hudson Law Office, we focus our criminal practice on one thing: the defense of DUI cases. Tom Hudson is trained as a Breath Test Operator, as a NHTSA Drug Recognition Expert (DRE), and as an Instructor of the Standardized Field Sobriety Tests. He regularly trains other lawyers in the scientific principles underlying DUI prosecutions, and he is the only lawyer in Florida who has successfully completed the challenging Board Certification Examination given by the National College for DUI Defense. There is simply no one in this region with more training and experience to defend your DUI charge. We try a lot of DUI cases, which means that the State Attorneys know us and know that we are not bluffing. Experience makes a difference. Let us make a difference for you. Call us at 941-957-0500.